GUYS! it time for the 4th Annual Free Range Brewing and OrdeFire Pig Pickin’! 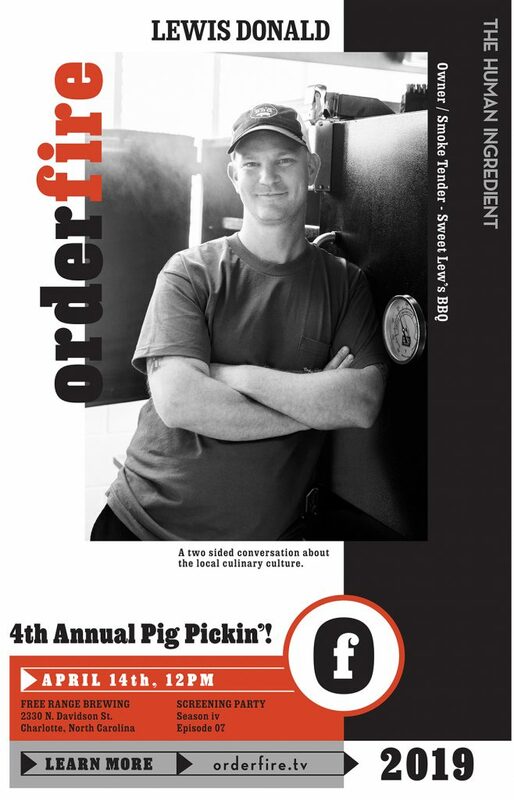 Our guest for this episode, and who happens to be cooking the pig, is Lewis Donald of Sweet Lew’s BBQ! This is going to be good! Rumor has it that there will be some limited quantities of his famous brisket on hand as well…. shhhhhh! Don’t tell any one. Sweet Lew’s has very quickly become a favorite of many in our community. The fun starts at 12 noon! $10 donation and proceeds go the Community Culinary School of Charlotte. All material copyrighted to Peter Taylor and may not be used or reproduced without expressed and written permission from Peter Taylor or Order/fire.